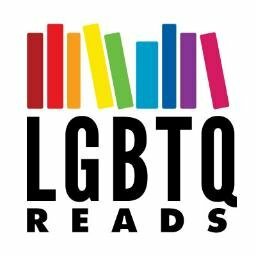 Welcome to Better Know an Author, a feature title I stole from Colbert Report because I miss it so, which will introduce you to a fabulous author of LGBTQIAP+ books every month! This month, the spotlight is on Alex London, aka C. Alexander London, author of YA sci-fi duology Proxy and Guardian, and lots of other books besides! Come say hi! You write adult nonfic, YA fic, and, primarily, books for younger readers. Do any of those categories feel the most like You, or does writing as widely as you do really feel like the best expression of you as an author? I’ve never been all that into labels, limits, or categories when it comes to story-telling (or to people! ), so it never occurred to me not to write across age ranges and genres. I write to the story I want to tell that needs me to tell it. Sometimes that leads to a silly talking animal story for kids or a gritty cyberpunk for teens or a bit of reportage about armed conflict. Each book is a prism, taking some of who I am and refracting it. I guess added up, all the different books would give a person a pretty strong sense of me, but it’s by no means complete. I couldn’t say I know solar thermodynamics just because I’ve felt the sun on my neck, and I couldn’t say I know an author just because I’ve read their books. Got any tips for other authors who might struggle with jumping genres (or categories)? What was it like publishing Proxy when LGBT YA Sci-Fi was basically nonexistent? (Not that it’s particularly booming now, but.) What’s been your favorite kind of feedback to it? And shortly after it came out…no one read it. It was, sad to say, a flop. Hollywood decidedly did not come knocking, as, at the time, there was no appetite for queer characters in “genre” stories (that is changing…) and the sales numbers on the book were pitiful. And then, word started to spread, one reader a time. The publisher repackaged the book, doubled down on it. It found champions in the YA community and then librarians embraced it, putting it on state reading lists, thrusting it into the hands of Hunger Games and Divergent fans, whether they were straight or gay. And all of sudden, nearly two years after it was first published, it found an audience. It does not have millions of readers (yet! ), but every week, more eager story-seekers find their way to it, and I’m just beyond thrilled that it keeps going after a rather inauspicious start. I’m moved when I hear from queer readers, especially queer readers of color, who thought they’d never get to see someone like themselves represented in this kind of story, but I’m just as moved when I hear from straight white readers that they’d never rooted for a gay hero before, let alone a gay PoC, never been waiting with bated breath for him to (spoiler alert) kiss another guy. The diversity of my readership has really been the most inspiring thing for me, from football players in Texas, to juvenile detention centers in Alaska, to Connecticut boarding schools. I love seeing how a book can still be the story we all gather around the campfire to hear, and we all see it from whatever different angle we’re sitting through the blazing embers of our experience. That sounds a bit grandiose. What I mean is, I love how much smarter my readers are than I am, and how much more they bring to the book than I or my publisher could have predicted or hoped. You’ve got a lot of travel under your belt. 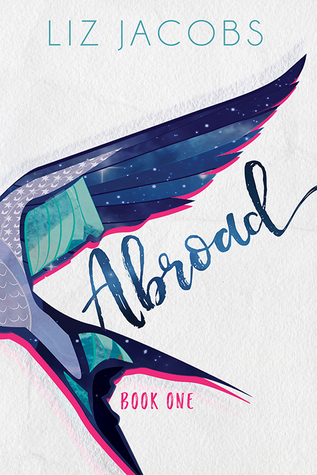 What’s a city or country you dream of setting a book in someday, and why? Right now, I’m working on a new YA fantasy trilogy, and I’m loving inventing cities and countries, so the idea of limiting myself to a real place isn’t all that appealing. That said, I hope to set a book in the neighborhood I just moved to in Philadelphia. It’s a magical little place filled with all kinds of quirks. I don’t know it well yet, but I’m sure there’s a darkness hidden beneath its idyl that is just waiting to be mined for narrative! I’m troubled by the dominance of white cis gay boys in YA, while at the same time, as one myself who was starved for representation until adulthood, I love reading all of them. But I think I can like something while recognizing its cultural dominance is a problem. I’m doing what I can to champion LGBTQ stories that aren’t all the white gay boy story, even while devouring those same stories. There is enough room in our reading culture for a wide range, and the growth of one type of story shouldn’t imperil another…if we don’t let it. Another thing I’ve been thinking about within the gay boy stories is the devaluing of more “femme” boys, especially in genre, and what that says about who gets to be a hero. I’m very interested in Le Guin’s “carrier bag theory of fiction” and want to read more and write more within fantasy and sci-fi that relies less on the “way of the sword” so to speak. I want to see how queer heroes can queer heroism itself. Right now there are just so many (and I am woefully behind in my TBR pile), but some recent faves include (for grown-ups) What Belongs to You by Garth Greenwell and Christadora by Tim Murphy. In YA, I’m eager to dive in to Adam Silvera’s History is All You Left Me, and I can’t wait for Katherine Locke’s The Girl with the Red Balloon. I recently devoured On The Edge of Gone by Corinne Duyvis (there are queer characters and themes in it). Also recently loved John Corey Whaley’s Highly Illogical Behavior. There are so many good books with LGBTQIAP+ characters and perspectives that it’s hard to choose. I’m reading a grown-up fantasy novel right now—Patrick Rothfuss’s The Name of the Wind—and I’m loving it except I find myself wondering: where are all the queer characters?! A gay male couple showed up eventually in the background of a scene and were perfectly fine, but it is a reminder that queer people, though we are everywhere in the world, are still often erased or sidelined in fantasy worlds, even really good fantasy worlds (and I’d say Rothfuss’s is really really good so far…I’m still reading). While not every story in the world is about LGBTQ people or should be, we need to keep speaking up and writing our stories and sharing each other’s until a world without us feels incomplete to any reader, not just the queer readers. Your next book up is a YA Fantasy called Other Bloods. What can you share about it? Yes, and I’m super excited to be returning to YA at last! Other Bloods is set in a land of high stakes falconry, where all eyes turn to the sky, even as intrigue and danger pull them to the ground. It’s the story of a brother and sister on a reluctant quest to capture the legendary eagle that they believe killed their father, although of course, there is more afoot than they know. There’s love and longing, mystery and danger, and a matriarchal owl cult that I’m ridiculously giddy about writing. I think Proxy fans will be delighted, and I hope fantasy readers will too. And fans of LGBTQIAP+ lit. And, really all readers…I mean, who doesn’t want a book that can be described as The Scorpio Races meets Lord of the Rings…with falcons (which is how my agent put it…I might have yelped/peed a little with that description)? It won’t be out until 2018, I think, but I’ll certainly be sharing more details as the date approaches.